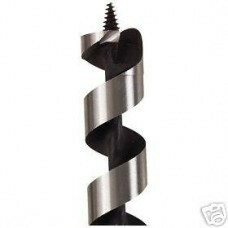 1-1/2"x17" Wood Boring Power Ship Auger Drill Bit Part #0614-0180 Wood Boring Power Ship Auger Drill Bit Diameter: 1-1/2" Overall Length: 17" Shank Diameter: 7/16" hex Notes: These bits have been designed for deep boring where nails may be encountered. They have a hollow center for fast chip flow and all bits have hex shank. 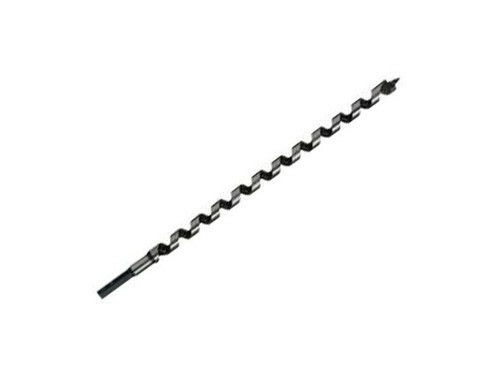 1-1/2"x17" Wood Boring Power Ship Auger Drill Bit (Bosch) Part #0614-0180 Wood Boring Power Ship Auger Drill Bit Diameter: 1-1/2" Overall Length: 17" Shank Diameter: 7/16" hex Notes: These bits have been designed for deep boring where nails may be encountered. They have a hollow center for fast chip flow and all bits have hex shank.